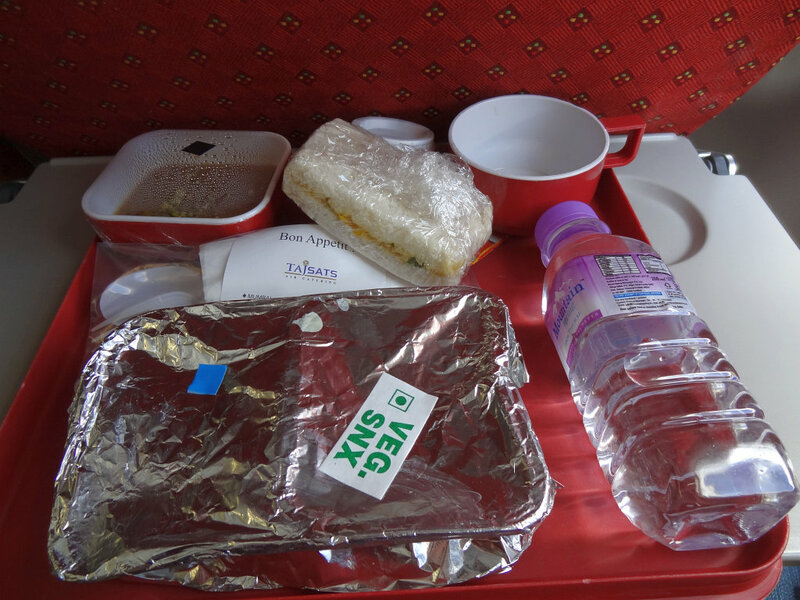 A paying passenger’s experience of a mix of the good and bad of Air India, and thoughts on what gives passengers enough to talk so much about the airline, and how the airline makes things difficult for itself. 4th November saw me flying Bangalore to Bhopal via Delhi, with confirmed tickets for my return on the 8th of November. On the 3rd, I had web-checked in, and changed my assigned 20J to 17J. The nine abreast cabin promised me the Boeing 787 Dreamliner, and although I have been on board, I hadn’t got airborne on one. I was excited with the thought of experiencing the cabin’s low noise levels and comfort. The next day, at the check in counter, the check-in staff cleared my e-ticket with seat 17J. Upon a friend’s insistence, I asked the staff if we had a Boeing 787 operating as Air India 505 to Delhi. “Yes sir, it’s a Boeing 320". “Excuse me?”. 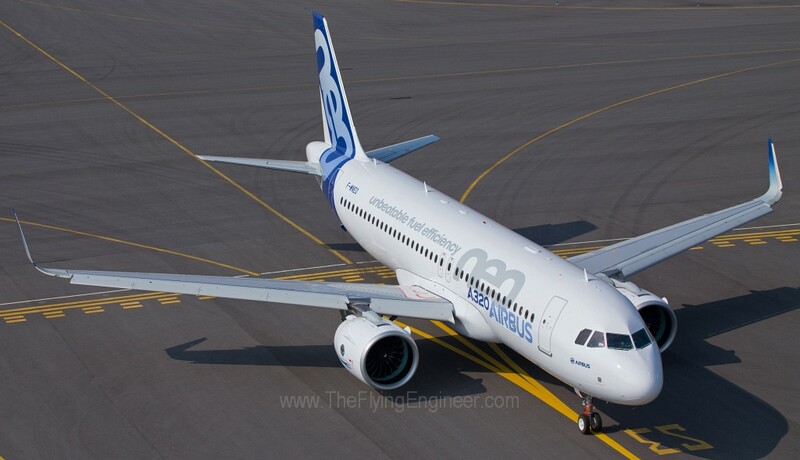 “Wait sir….it’s a…sorry…Airbus”. “How did you issue me seat 17J, then?” “Sorry sir (taking my boarding pass and scratching out my seat)…it’s 12F for you!”. 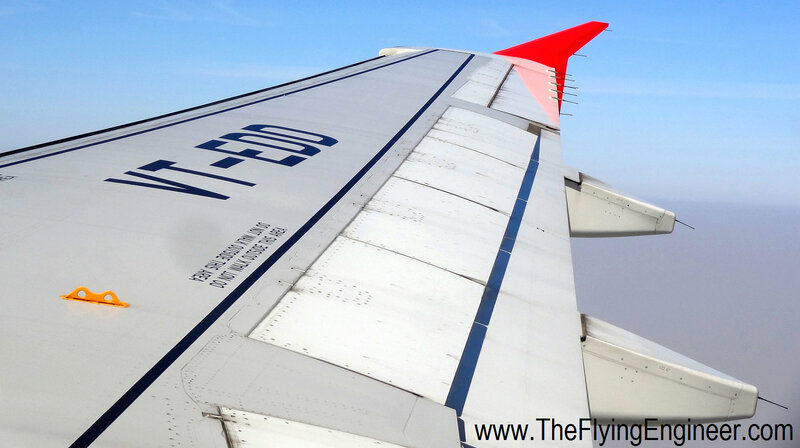 VT-EDD, a 3 year 8 month young Airbus A320 flew us from Bangalore to Delhi. The in flight meal was not palatable, and that left the tray untouched and me hungry. The cabin was tidy, but some of the in-flight entertainment screens weren’t working. Most of the seats were empty: the loads were very low, and that allowed me a “54" inch wide seat in economy: 3 X 18" seats all for myself. Upon landing at Delhi, I quickly grabbed a sandwich at Costa Coffee, and proceeded to board AI634 to Bhopal. AI634 was operated by VT-SCI, a 6 year old Airbus A319 that was kept in a very bad state. The cabin was dirty, the wings had paint chipped off at places, and fluid stains running across the wing. The male cabin crew wasn’t very pleasant, and the “snacks" served on board wasn’t great, either. Both flights operated on time, but the food, aircraft cleanliness (or the lack of it), and the attitude of the cabin crew left a bad taste. On the 8th, I was at Bhopal airport, and a scheduled 18:00 local departure on AI633 to Delhi was revised to 18:35. The Bhopal-Delhi flight has a planned block time of 01:15hr. All passengers had boarded VT-PPX, a 3year 6 month old Airbus A321 part of the “Praful Patel" series of Airbus airplanes. At 18:52, cargo was still being loaded. My connecting flight to Bangalore from Delhi was scheduled to depart at 20:10: earlier than we could reach Delhi, and I was braced for some chaos at the airport. The in-flight “snacks" consisted of two butter cookies (very good, I must say), and tea/coffee. The staff was very, very courteous. The Cabin Crew in charge managed the show very well, coordinating between the pilot and anxious passengers who had connecting flights that were scheduled to depart before we could land at Delhi. Extreme patience was shown, and nobody: neither the passengers nor the cabin crew had an opportunity to lose their cool. Upon landing at Delhi, ground staff very clearly called out for those who were headed to Bangalore. Three ground personnel coordinated very well, taking care of 10 of us who had to make it to the Bangalore flight that was waiting just for us to board. Over the radios, the baggage’s were discussed, and although tension prevailed in their voice, they got us through service stairs out of the terminal, onto the apron and into an apron shuttle, and back up via service stairs to the airbridge that led us to VT-EDC, aged the same as VT-EDD, operating as AI504 to Bangalore. We got in, the doors closed, the cargo was loaded, erasing all apprehensions of leaving my bags behind, and at around 20:40, we pushed out of the gate, picking up 30 minutes of delay. On board, the staff was very patient and courteous. My IFE was working, but my earphones were missing, so I called them once. I had a terrible ear block, so I troubled the crew many a time thereafter for water that allowed me to gulp fluids and help equalize the pressure in my eustachian tube. And oh, the meal. I was hungry like crazy, and the paneer-rice-dal combination seemed fresh and was at the right temperature. This was accompanied with vegetable salad, and an Indian sweet dish: kheer. The bun was soft, and the butter softer, making the spread easy. It was a classic AI spread, but the spread was good. The IFE worked well. There were about 4 channels: News, A retro-Hindi film playing, the 2013 “Kai Po Che", and the 2010 “Wall Street: Money Never Sleeps". I was woken by a cabin announcement. My seat, 15A, gave me a good view. Visibility at Bangalore was excellent, and I could see the airfield (identified by the white / green beacon) flashing in the distance. A Boeing 737 could be seen on short finals, as we were somewhat on the downwind leg. There was something magical about the combination of engine noise, great visibility, and clear skies. We landed at 23:04, with a 20 minute delay. The flight crew had enroute made up for about 10 minutes of the delay. This time, I walked out of the airline feeling real good about the aircraft cleanliness, service, and on-board meal. This got me wondering: The reason my client put me on an Air India flight was because of its fares: it was the lowest, and the airline still offers some of the lowest fares. While that should be a reason to smile and not bother about anything else, the very fact that one is “entitled" to a complimentary meal / snack on board results in expectations, and if it turns out to be bad, it leaves a bad impression. When a passenger sees an in-flight entertainment screen in front of his seat, his expectation is that it must work and entertain him. The same passenger wouldn’t mind staring at a blank seat on a low-cost carrier, but when his IFE isn’t working while his co-passenger enjoys a nice movie, it leaves a bad impression. When the aircraft is dirty, the windows greasy and the seats in a bad shape, it leaves a bad impression. Making it difficult for itself. Air India offers some of the lowest airfares, provides in-flight meals to all at no extra cost, usually has a very courteous cabin crew (many others find them to be the best in the country, in terms of approachability and service attitude), and has a good safety record. Yet, when the freebies fail to met expectations, anti-airline sentiments set in. These freebies cost the airline money, and the passenger nothing; yet expectations are very, very human. India is a cost-conscious market: Almost all domestic passengers do not buy an airline ticket for the in-flight entertainment, cabin service, the on-board meal, or the aircraft cleanliness. What matters most, to most, is something simple: on time performance. Probably another way in which the airline can turnaround, make money and improve passenger satisfaction? Give them lesser to expect. Knock off the IFE, and the in-flight free meals. Passengers will soon get accustomed to paying for a meal and having nothing but sleep to engage themselves with. And they will continue to fly for the low fares. If the airline competes with low cost carriers and offers low fares, it may as well change its operations to low cost. Like IndiGo, which has nothing to offer on board, yet has absolutely clean aircraft and flies with one eye on the watch. And nobody complains. After all, when there is nothing to expect, there is nothing to disappoint.